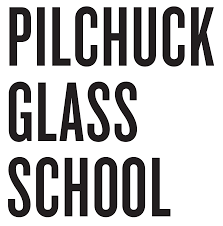 Pilchuck Glass School (PGS) fosters and educates a worldwide community that explores the creative use of glass in art and design. Our serene campus in Stanwood, Washington, is nestled in the foothills of the Cascade Mountains on a former tree farm. PGS has a gallery and administrative office in Seattle, Washington, located in historic Pioneer Square. Founded in 1971 by Dale Chihuly and patrons Anne Gould Hauberg and John H. Hauberg, Pilchuck’s iconic history and legacy as an international center for glass art education has inspired thousands of artists in its history. The serene and rustic campus now hosts more than 500 students and artists from around the world each year who travel to participate in programs as instructors, students, summer staff, and for emerging and established artist residencies. In recent years, PGS has launched new initiatives in expanding programming through spring and fall retreats with local youth organizations. PGS also boasts a Seattle-based gallery and administrative office featuring innovative exhibitions. Pilchuck’s history is filled with stories of hard work, passion, and generosity, maintaining the original core values of the school: to inspire creativity, transform individuals, and build community. Additional information can be found at www.pilchuck.com. Salary is dependent on qualifications and experience. The salary range is $45,000-$50,000. Benefits include health insurance benefits, FSA plan, 401(k) retirement plan after six months, long-term disability insurance, subsidized transportation pass, vacation and sick leave. Be sure to label all files with your name, PDFs preferred. Applications will be reviewed on an on-going basis through the deadline. Kindly, no phone calls please. Job Categories: Arts and Culture. Job Types: Full-Time. Job Tags: arts, development, event, fund-raising, glass, manager, and school. States: Washington. Job listing expires in 3 days.